Charles Alexander’s extensive bio is easy to look up. His immense humanity, both as a writer, artist and person, requires face time to absorb. Our short interview questions where and how Alexander has come to his outstretched heart and holistic intellect. 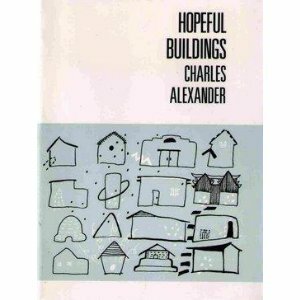 Charles Alexander is the author of seven books of poetry, including Hopeful Buildings. Lisa Levine: I’m going to be intrusive and ask about your work. Tell me about what you’re writing now. Charles Alexander: I’m always writing poems in my mind; sometimes it’s so obvious I feel there’s no need to write them down, and I wonder if the ones I do write on paper or screen are any better than the ones that I had for a few minutes or hours and then are gone. Ed Dorn wrote, in one of his epigrammatic later poems, something like,”Poetry is everywhere. / It is the poet’s occupation / to compose it.” I like that, though it sounds a bit more like a job than I usually think the process of writing poetry works. I was asked by Kore Press to deliver a lecture on Emily Dickinson in September, and also to read poems of mine that might relate to Dickinson in some way. Yesterday I wrote a poem for Emily Dickinson. I’ve been living with her language for a long time. It’s there, real, for me. I also began writing some poems that may be new sections, beginning a whole new landscape, of my long poem Pushing Water, whose first 52 sections will be published later this year. I didn’t know I’d write more than those 52, but here I am. Also, I’m working, off and on, on a prose book about the pleasures of poetry. Finally, I’m writing notes on various books or poems I’m teaching in the fall: Shakespeare plays, Mrs. Dalloway, A Passage to India, and poems by John Skelton, Thomas Wyatt, Phillip Sidney, Fulke Greville, Walter Ralegh, Charles Olson, Robert Creeley, Robert Duncan, and more. LL: Name a verb that describes how life relates to art for you. Explain, if you will. CA: Dwell. Perhaps this is a fact of getting older, i.e. I’m more and more conscious of living with people, poems, places, things, art, for a long time, and how that length of time deepens knowledge and feeling. Not very interested in speed right now. Let it lengthen. LL: Who (or what) inspires you? CA: My family, my friends, other poets, writers, books. Something, every day. That hawk in the sky, that memory of a line by Gertrude Stein, Wyatt’s “with naked food stalking in my chamber,” the ocean in gray light, walking along the shore near Aberystwyth in Wales, the poet/painter David Jones in all his imaginings, the colors and amazing juxtapositions in Cynthia Miller’s paintings, my daughters’ courage as they face a world so different, it feels, than the one I faced at 18 or 21 (their ages now). Whitman’s “I stop somewhere waiting for you.” The unknown, and so much is unknown. I still want to find out, but I’m not sure if its what is found out, or the act, the immense act that, as Olson knew, goes from rhythm to image to knowing. The fact that we are always making, constructing. LL: Gloria Anzaluda (Texas-based writer, activist and poet) once said, “Writing is a sensuous act.” Agree, disagree, or a little of both? Why? CA: Language is sensuous material, to the ear, the mouth, the body. Language is a body, the world is a body. Writing partakes of that. But more, to me, language itself as sensuous than the act of writing as sensuous. Writers are receivers, and that’s a sensuous position. The beginning of a long essay I’m writing addresses this sensuous pleasure of language, of poetry. LL: Trick question: I’m your posthumous self. Tell me what I know that you don’t. CA: Does time make us know more? Does death make us know more? My posthumous self knows how to be more quiet, and why. My posthumous self has resolved its love of Emily Dickinson – or perhaps not, perhaps has joined her after our Right of Frost. My posthumous self misses the world and its loved ones more than is imaginable. My posthumous self is looking out on the ocean, contemplating undone business. My posthumous self knows that feeling is knowing. Lisa Levine is the Fiction Editor for the Sonora Review.